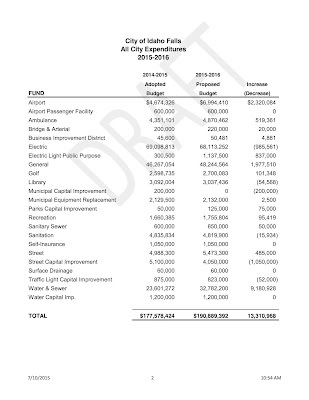 The Idaho Falls City Council is gearing up for the 2015/2016 budget season. As with all City Council meetings, the public is invited to attend. The council is starting off with proposed expenditures of $190,889,392, up nearly 7.5 percent from $177,578,424 this year. 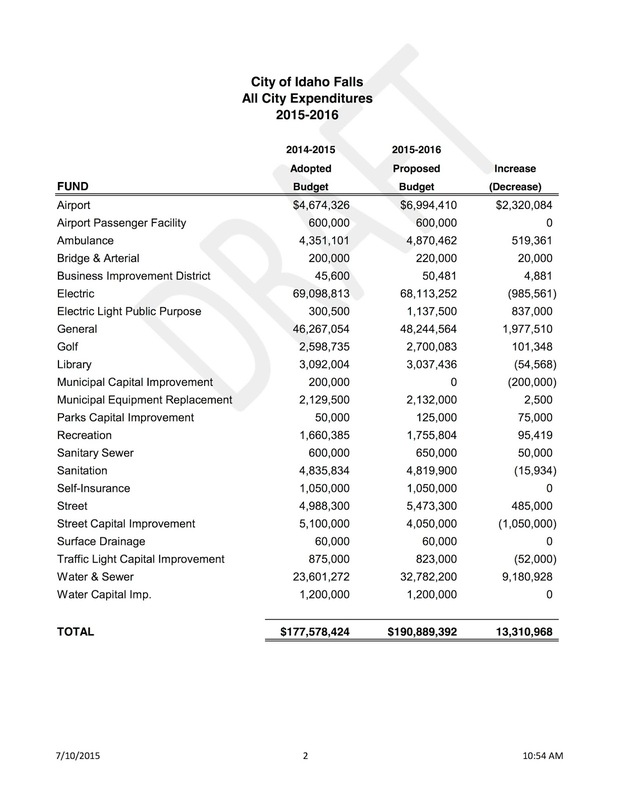 The draft proposal is for a general fund expenditure increase of $1.97 million, a 4.27 percent boost from the current fiscal year. A series of work sessions to discuss the budget will be held at City Council Chambers, 680 Park Avenue. The first will be Monday from 2 to 5 p.m. The second will be Wednesday from 10 a.m. to 5 p.m., and the last will be July 31 from 8 a.m. to 11 a.m.
After that, the Council is scheduled to adopt a tentative budget Aug 13. A public hearing on the budget is scheduled for Sept. 3 and will be available to view via live stream on the city’s Web site. Citizens are welcome to attend any or all of these meetings or reach out to City Council members independently. The budget calendar, Council contact information and draft budget documents can be found online or by calling the City Clerk’s office at (208) 612-8415.